Happy Sunday! I hope you have all had a wonderful weekend and are getting ready for a brand new week. I thought today I would take some time to write a post dedicated to something rather exciting. This is a more personal post, I do try to open up to you all on my blog but sometimes it is so difficult. 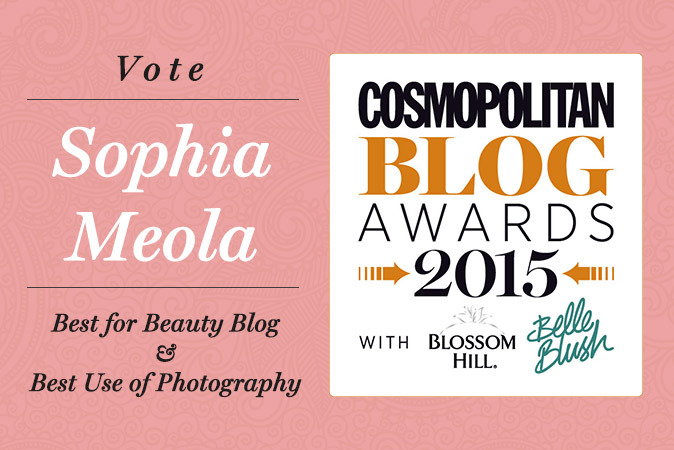 In a nutshell...I'M SHORTLISTED IN THE COSMOPOLITAN BLOG AWARDS! I never thought in my right mind that I would be shortlisted a third year in a row and be here writing another post about being shortlisted...it just doesn't seem real! I just don't have the confidence in myself or my blog to be able to say that I am worthy for awards like this...I am just a girl who writes away on her little space on the internet haha. Things like this don't happen to me very often! On Monday 5th October Cosmopolitan released the shortlisted for this years awards and I was so shocked to learn that I had been shortlisted. I was at work on my lunch break when I started receiving some tweets about the awards saying congratulations...and at this point I was completely confused as I totally forgot they were releasing the shortlist on this day. I searched for Cosmopolitan and quickly went to read the shortlist to find my name listed under the first category...'Best for Beauty'. There are so many amazing blogs nominated this year so I literally feel so privileged to be considered and to be shortlisted amongst some of my favourite bloggers! Then to top that all off I kept scrolling through to have a little nose to see who else has been shortlisted under other categories - I am so excited about meeting everyone at the awards next month. I saw some of my lovely blogger friends, discovered some brand new reads and then I saw my name again...under 'Best Use of Photography'! Oh my goodness, at this point I was getting so emotional and I was getting some funny looks in the kitchen at work haha. It took me a long time to think things through before putting myself forward for the awards again this year. I just knew if I didn't give the awards one last try this year I would literally kick myself. I feel so overwhelmed and blessed that I honestly don't even have all of the words to describe how I am feeling right now. I have been shortlisted during the 2013 and 2014 awards but I never actually placed in my categories when I was at the awards evening in London. Obviously, it is disheartening because we all work so hard with our blogs and we have all partaken on this wonderful blogging journey. Even though I never placed I always walked away feeling so motivated and determined to work even harder with my blog...it is a huge part of my life and I love it so much! If you nominated me then THANK YOU so much…It literally means the world that you took the time to do so and even considered me. I really do appreciate it and this means so much to me, my blog has become a major part of my life now and it wouldn't be where it is without all of your support. My blog is my little place on the Internet where I can ramble about all the things I love without being judged or anything. It has been my creative outlet to break away from the reality of everyday life, stress and everything else in between. I literally love you all! I really wish everyone the best of luck, getting shortlisted is a milestone in itself for me so anything else that happens along the way will be an added bonus. I hope you are all doing well and you are having a wonderful weekend so far. My sleeping patterns have been all over the place lately. This is down to a whole mixture of things to be honest...stress, anxiety, the fact that I have such a hectic schedule and sometimes I just turn into a night owl. Ever since I was introduced to the new NEOM Perfect Nights Sleep Pillow Mist it has become a nighttime essential for me and I haven't stopped using it since. 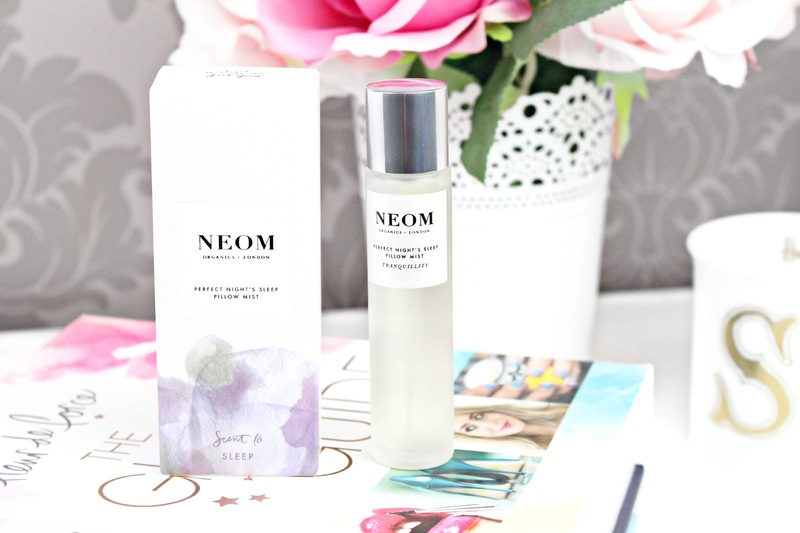 NEOM are a brand I have always admired and the few products I have tried from their range I have always been incredibly impressed. A little information on the brand themselves, and more. To me, their products always seem so classic and I adore how everything is organic with the combination of having glorious holistic properties due to the high essential oil content in the scents. As a brand, they strongly oppose using harsh ingredients and want to be able to offer a beautiful collection of 100% natural fragrances for the mind and body, that are free from artificial ingredients, all with therapeutic benefits. Every scent has been designed to make you feel good and that is something I absolutely love about the products they offer. The NEOM Perfect Nights Sleep Pillow Mist (part of the Scent to Sleep range) has been specially formulated for use on your pillow to help create the deepest night's sleep. The formulation is made with the most complex and potent blend of their 100% natural Tranquility fragrance (I have a candle in this scent and I absolutely love it). This award-winning fragrance contains the highest possible percentage of the purest possible essential oils, which not only smell absolutely wonderful but have true therapeutic benefits for the mind and body, helping to transform the way you feel. This pillow mist is formulated with 14 of the purest possible essential oils that continue to release throughout the night as you sleep; these include English Lavender, Jasmine, Chamomile, Patchouli and more. Once I am all settled and ready to head to bed I simply spritz my pillow a few times with the mist and lay back and soak in the gorgeous aromas. NEOM recommend you lay back and breath in through your nose for 7 seconds and out through your mouth for 11 seconds to start off your journey to a relaxing slumber. Overall, I am completely in love with this specially designed Perfect Nights Sleep Pillow Mist and I can honestly say that my nighttime routine and overall stress levels have improved since using this product. I have used this product for a good month now and I haven't even made a dent in the bottle, so for £20* you know you are going to be getting your monies worth. I know this will be a product that I will constantly be repurchasing, I just can't imagine my nighttime routine without it...it's an essential holy grail product for me. With Christmas just around the corner I think this or any of the products on the NEOM website would be perfect to consider, whether you are treating yourself or the special people in your life. Pssst, the Christmas collection looks pretty spectacular so if you want to take a peek you can do so by clicking here! Like always lovelies, if you have any questions, requests or if you just want a chat you can contact me via my social media or leave me a comment below. I love hearing from you all and I make sure to ready every single comment...they really make my day! Also, did you know that if you sign up to the NEOM Wellbeing newsletter you can receive 15% off your first order. I have my code and I can't wait to use it! I hope you are all doing well and are having a wonderful Friday! Over the last few weeks I have been sharing a variety of different gift with purchases with you and I have a brand new one to share with you today. I just love everything about gift with purchases and I always enjoy trying them out and sharing them with you. Firstly, who doesn't just love receiving a free gift when you have treated yourself at the beauty halls? I know I definitely do haha. Secondly, I honestly think they are a fantastic way to try, trial and test a product before committing to the full sized versions. 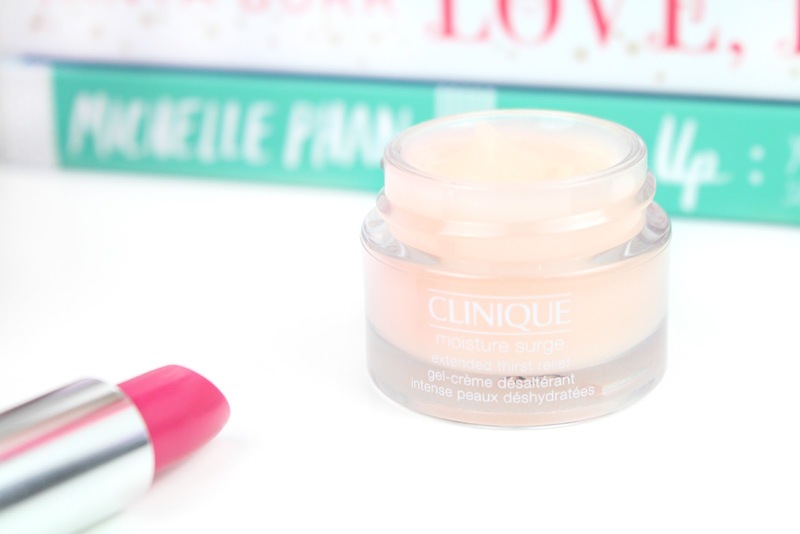 Clinique is a brand I absolutely adore, however, I will put my hands up and say that I have tried more of their skincare than makeup products. I don't even have a reason why or some kind of excuse because I have worked on a Chanel counter in Debenhams with various wonderful makeup and beauty counters surrounding me...Clinique being one of them. This particular gift with purchase is absolutely gorgeous! 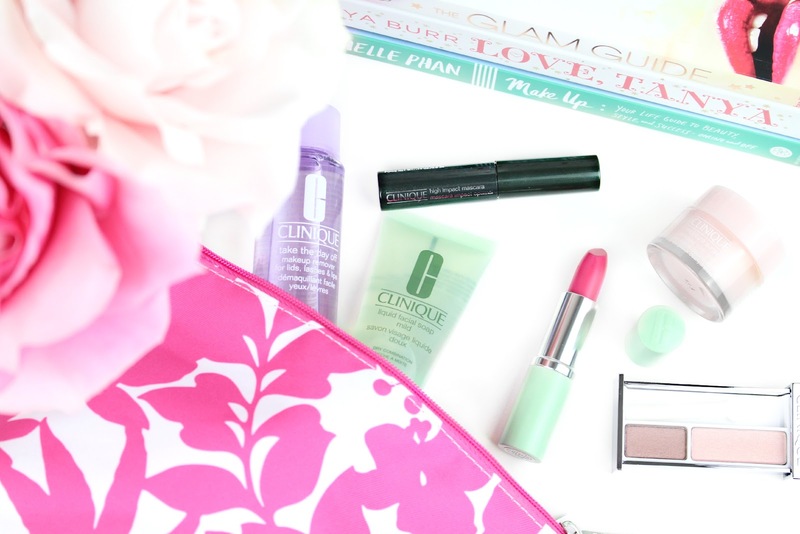 All of the products come enclosed in this beautiful bright pink and super eye catching makeup pouch. The overall quality of the bag is just fabulous and it could definitely be reused to store your makeup at home or on the go. If this gift with purchase is something that is just calling your name I would recommend picking one up as soon as possible. This offer end on the 24th October and I would hate for you to miss out on such a great deal. To qualify for this Debenhams Exclusive Gift with Purchase you will have to purchase two or more items from Clinique; one being skincare or a foundation. Starting off with skincare, there are three wonderful products within this set. 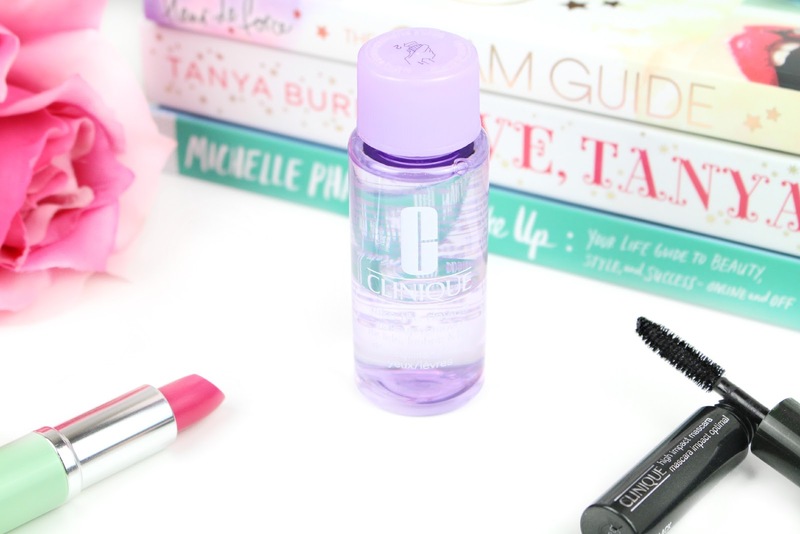 The first product is the Take the Day Off Makeup Remover for Lids, Lashes and Lips. I have been dying to try something from their 'Take the Day Off' line for ages now! This is a unique, two-way formula that loosens the grip, then speeds the departure of the more persistent, eye makeups, mascaras and lipsticks. I like to coat a cotton pad with the liquid and hold it on my eye for a good 30 seconds or so, then once removed your eye makeup is pretty much gone in one swipe! 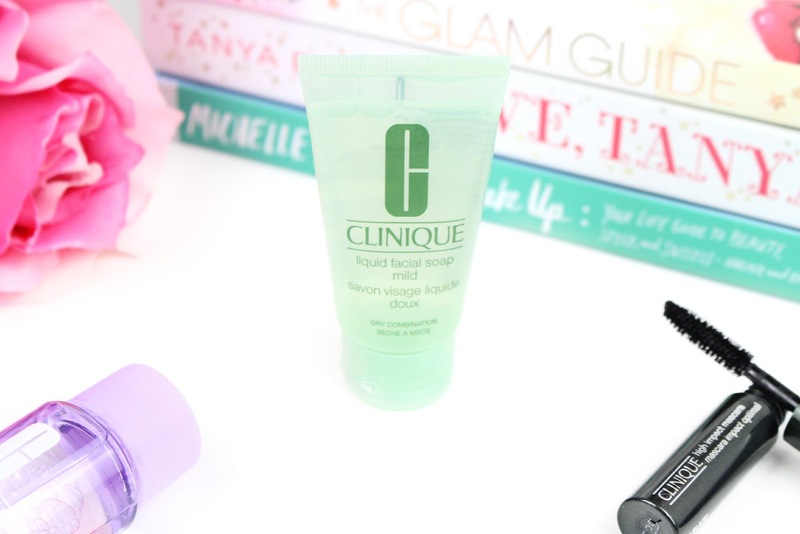 I will definitely be picking up the full sized version of this...it makes makeup removal so much easier! The second product is the Liquid Facial Soap which I have actually used before when I religiously used my Clinique 3-step Skin Care System when I was first having some problem with my skin...this was before I started my blog. 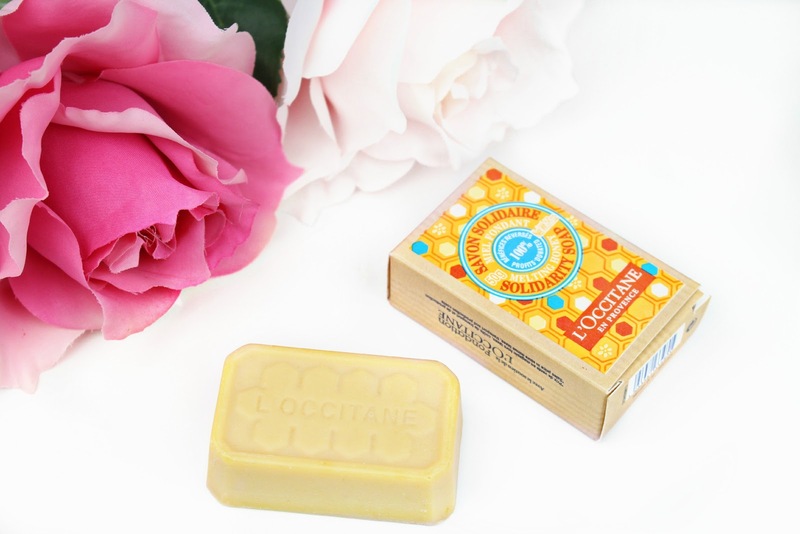 This is a very gentle and mild facial soap that is perfect for daily use. This works as a great morning and evening skincare treat and you can simply use it with your hands (the best tools) or with a skincare device. The final skincare product within this glorious set is the Moisture Surge Extended Thirst Relief which has recently undergone a mini makeover with a new and improved formula offering longer hydration for up to 12 hours. The formulation now consists of new micro-molecules which allows quicker and more efficient moisturisation which gives an immediate moisture boost and plump look to the skin. I love how it leaves my skin feeling super refreshed and incredible soft...it soaks into the skin perfectly and works as a great base / primer under makeup. Now onto the makeup! Firstly we have the ever so gorgeous All About Shadow Duo in Strawberry Fudge. I think we all need to take a moment to appreciate how cute the name of this palette is...I just love it! 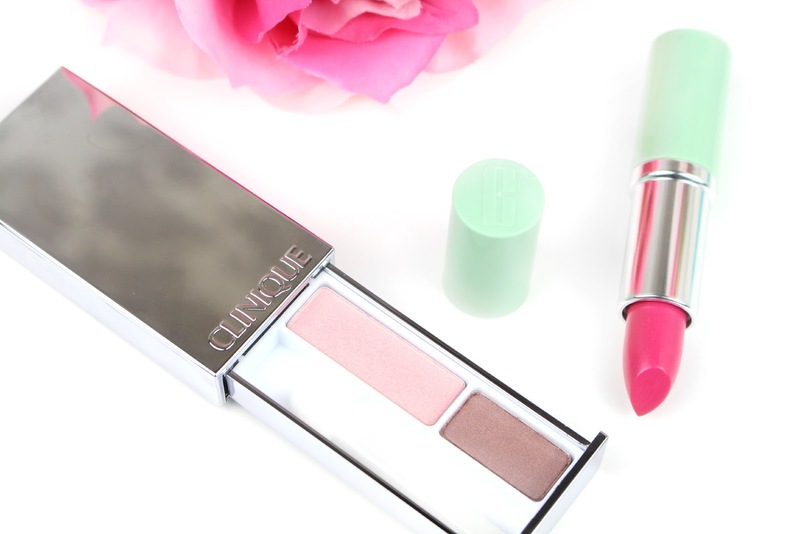 This was the first time I had ever tried this particular palette from Clinique and I think they couldn't have chosen a better colour scheme...you can do so much with it! The eyeshadows themselves were extremely blendable that offered high pigmentation and a long wearing time...what more could you ask for? I recently filmed a Simple Evening GRWM on YouTube and this palette would be perfect at recreating the look. The pink shade would make a gorgeous all over the lid shade and the chocolate shade would be perfect at defining your crease and lower lash line. The next product is the High Impact Mascara in the shade black. 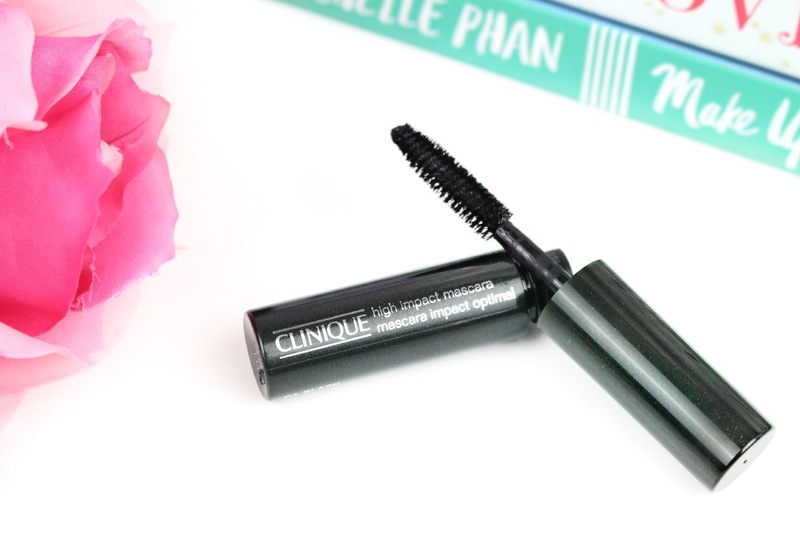 This is a multi-benefit mascara that adds maximum volume with definition and length. The brush itself has been specially developed to work with the formula to thicken and separate your lashes. I found the wand really easy to use as it wasn't too chunky or too thin and I found the formula long wearing as I had no flakiness throughout the day. The final makeup product within this set is the gorgeous Long Lasting Soft Matte Lipstick in Matte Magenta. 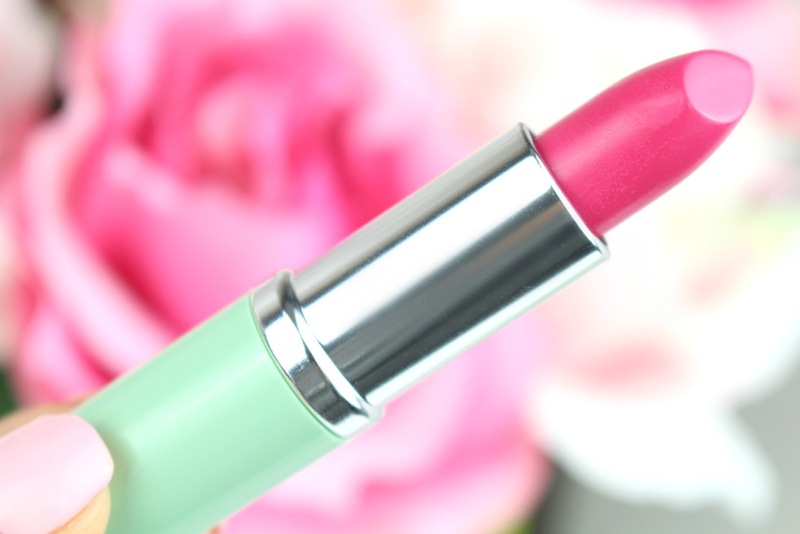 This is Cliniques longest-wearing creamy-matte formula and it felt super comfortable on the lips. The shade itself is a gorgeous deep Magenta shade that would look lovely on everyone. It is a bright shade so you may want to keep this for the summer time, however, who says you can't wear a bright lip throughout the Autumn / Winter time? There are no rules when it comes to makeup so have fun with it! Overall, I think this Debenhams Exclusive Clinique Gift with Purchase is just amazing and I was so amazed to see how generous all of the samples were...there were no foil packets in sight! I honestly thought that the lipstick was full size until I had a look on the Debenhams website. All of the products including this gorgeous cosmetics pouch are the perfect size for traveling, for someone constantly on the go or for someone exploring skincare for the first time. Like always lovelies, if you have any questions, requests or if you just want a chat you can contact me via my social media or leave me a comment below. I love hearing from you all and I make sure to ready every single comment...they really make my day! What do you think of this gift with purchase? Have you tried any of the products? I hope you are all doing well and are having a wonderful week so far. Over the last few months or so I have shared some fabulous gift with purchase sets with you and I have a new one to share today. If you were looking for the perfect excuse to splurge at the Harrods beauty halls then this could be the set just for you. Harrods are currently offering this gorgeous Sisley Gift with Purchase set which includes a range of beautiful beauty must-haves by Sisley (worth over £70) which are all enclosed in a fun leopard printed cosmetics pouch. 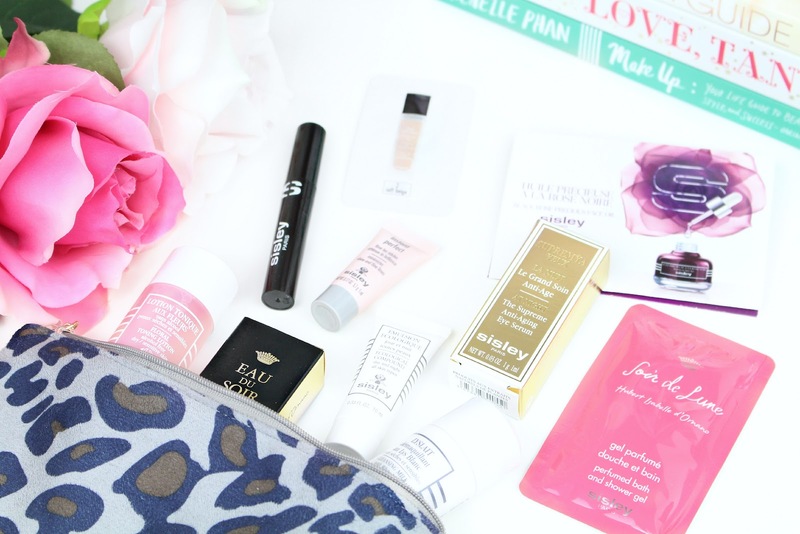 Firstly, I think we all need to take a moment to appreciate this gorgeous cosmetics pouch?! I mean how on trend is this print right now and the combination of blue and khaki shades makes it the perfect accessory for any outfit this autumn and winter. The bag itself is packed to the rim with a range of different deluxe samples. There are a few foil packet samples in there also, however, it doesn't take away from the overall quality of the bag. I mean, there is nothing wrong with a good ol' foil packet sample ey haha. I have to admit that I have never actually tried any Sisley beauty products before so I was over the moon to have been given this opportunity to not only share this gorgeous set with you but to try out all of the mini versions of the products before committing to anything full size...I just love mini products! First in the bag we have Lyslait, which is a creamy makeup removing milk that effectively dissolves makeup while maintaining the balance in dry and sensitive skin. This product is rich in white Lily extract and it feels incredible from its first touch on the skin. Next we have the Floral Toning Lotion which works perfectly hand in hand with Lyslait. This is used to remove makeup completely and to also cleanse the skin. Formulated with extracts of rose, cornflower, and Witch Hazel, this lotion soothes and softens the skin to perfection. It has been designed for dry, sensitive skin and tones, soothes and prepares the skin for the next steps in you skincare regimen. Within the cosmetics pouch, you also receive a mini version of the cult classic Eau de Soir which is a refined, elegant and timeless Eau de Parfum. The formulation consists of the freshness of citrus with the sensuality of florals, highlighted by an elegant touch of chypre. As soon as I opened the deluxe sample I could immediately smell the fragrance, I think it is definitely one of those love it or hate it scents, however, I think it is just stunning! You also receive either the Moisturising Body Lotion or Bath & Shower Gel within the set also and layered together they smell incredible! 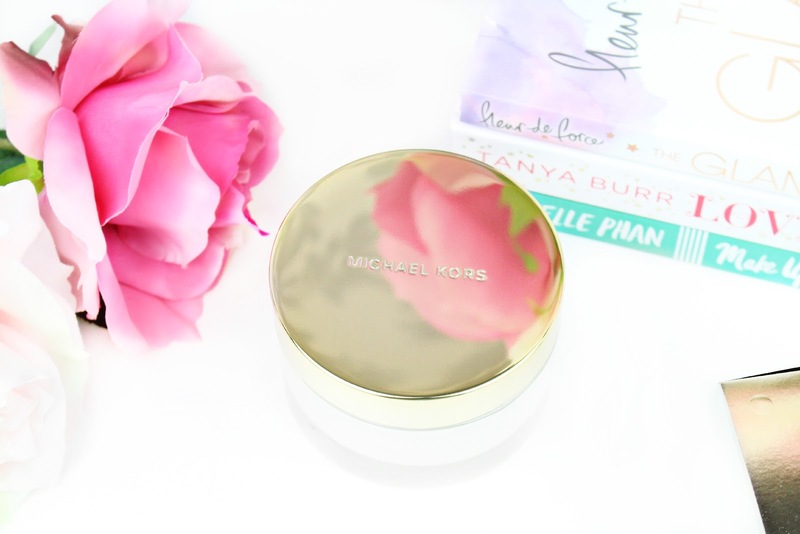 The next product I was excited to see in the cosmetics pouch was the Instant Perfect. This is a siliconated gel emulsion with an ultra-soft touch, which acts instantly to erase skin imperfections and highlights the eyes. The next product is the Supremya Eyes which is is like liquid gold night anti-aging treatment for the eye area. At the heart of the formula is the Phyto-complex LC12, a patented combination of 4 plant-based ingredients that work during the night time to rejuvenate the eyes. It combines active ingredients that reduce dark circles and puffiness and has a light and creamy texture. Another cult product within the cosmetics pouch is the Ecological Compound and this is an essential revitalising and hydrating skincare product that is suitable for all skin types. It is formulated with a synergistic compound of plants (centella asiatica, ginseng, rosemary, hops, and horsetail), has a non-greasy texture and leaves a matte appearance yet radiant glow to the skin. Amongst all of the glorious samples was something completely new...a brand new launch infact! The Black Rose Precious Face Oil is Sisley's first skin care oil for dry or mature skin. With a high concentration of active ingredients, this silky-smooth dry oil is said to prepare and nourish the skin. Rich in omega 3 and 6, it prepares the skin to receive it's daily skin care. These oils provide the essential elements for the skin's vitality and youthfulness. Black Rise extract lies at the heart of the formula and lends a wonderful silky softness. It is combined with essential oils of Bulgarian rose and magnolia, which have toning and soothing properties for a delicious awakening of the senses. This products sounds amazing! Next up we finally have two makeup products! Firstly, the Phyto-Teint Expert fluid is a foundation that combines a smoothing, unifying and very long-lasting effect with natural results...basically everything you would want from a foundation! I love trying out new foundations so I am looking forward to seeing how this particular one works with my skin...although I am not 100% sure how far that sample will go! The second makeup products is the So Intense Mini Mascara which is said to have a super volumising formula which is enriched with a unique formula that works to lengthen and thicken your natural eyelashes within just two weeks...oh my I am in love with this feature! I am constantly on the look out for products that will make my eyelashes look as long and fluttery as possible. The mascara itself has a comb wand which I very rarely use, but we will see how it works out. 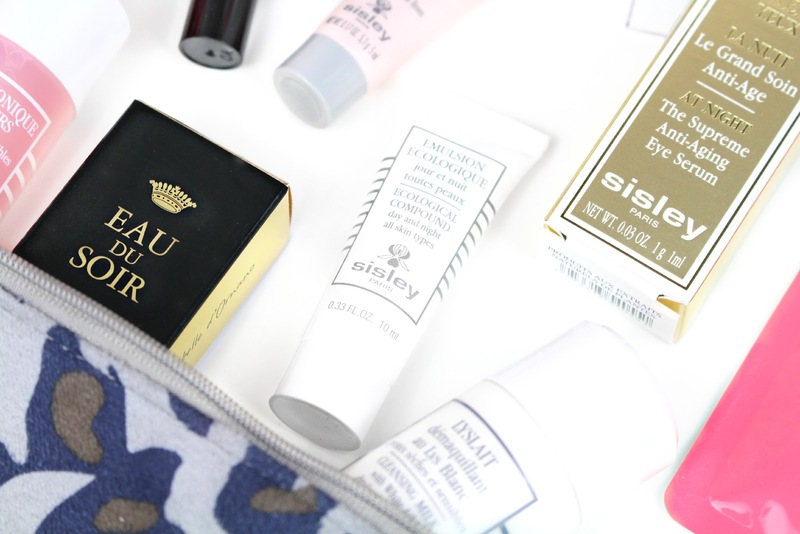 Overall, I absolutely loved this Sisley Gift with Purchase and it was everything I thought it would be and more! Each product is out of this world in terms of quality and I am looking forward to visiting the Sisley stand on my next visit to Harrods! In order to qualify for this fabulous gift with purchase you will need to spend £160 or more on any Sisley products online. So, if you have been looking for the perfect excuse to finally give some Sisley products a try, this would be the perfect opportunity. You can definitely tell a lot of thought has gone into this set and even though there are some sachet samples in there everything is extremely deluxe and you also have 10 different products to try. If you would like to check out any of the mini products in full you can head over to the Harrods website here. What do you think of this gift with purchase? What is your favourite stand in the beauty hall? I hope you all have had a wonderful weekend...I swear I just blinked and it flashed by so quickly! I have to admit that I didn't do as much as I probably would have hoped over the weekend, however, I am just feeling so exhausted lately! I think I am coming down with a cold or something *cries*. One thing I love to do when I am partaking in my pamper routine is to give myself a manicure. Nothing starts off the week better than freshly painted nails and I can't even remember a time when I didn't have polish on my nails haha. A few months back I was contacted by the lovely Hollie (who I actually already knew outside of blogging) and she introduced Little Ondine to me. I have tried pretty much every brand of nail polish on the market so it was really exciting being given the opportunity to try something completely new. Little Ondine polishes are composed of natural resin, organic colourants and water. They source the best minerals from around the world to bring pure organic colour that give the polishes their smooth yet hydrating texture. For someone like me who is always rocking a nail polish, it was so refreshing to see a brand that was completely natural! 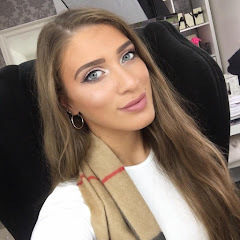 Firstly, I had the challenge of picking two shades out of their outstanding 80 shade collection...I'm not going to lie, it was quite difficult narrowing it down as they are all so gorgeous! I was staring at these pretty polish shades for a good hour or so just thinking of how they would be perfect for Instagram or Pinterest...ohh the brain of a blogger haha. Eventually, I came to the conclusion that I would go for a combination that I always turn back to...pastels and glitter! I opted for a beautiful pastel purple shade called Lilac* (£8.40) and a pastel multi-colour glitter called Waltz* (£11.00). The formula itself is quite thick and gloopy...much like a gel polish formula. Even though the formulation wasn't like your typical polish (never judge a book by its cover) it applied so beautifully and effortlessly. As this was my first attempt using the polish I did notice that the overall application was a little streaky on some of my nails but overall the final product with two coats looked lovely and felt really comfortable on my nails. I don't know about you but whenever I paint my nails there is always that middle point where I am kind of stuck whilst my nails are drying. 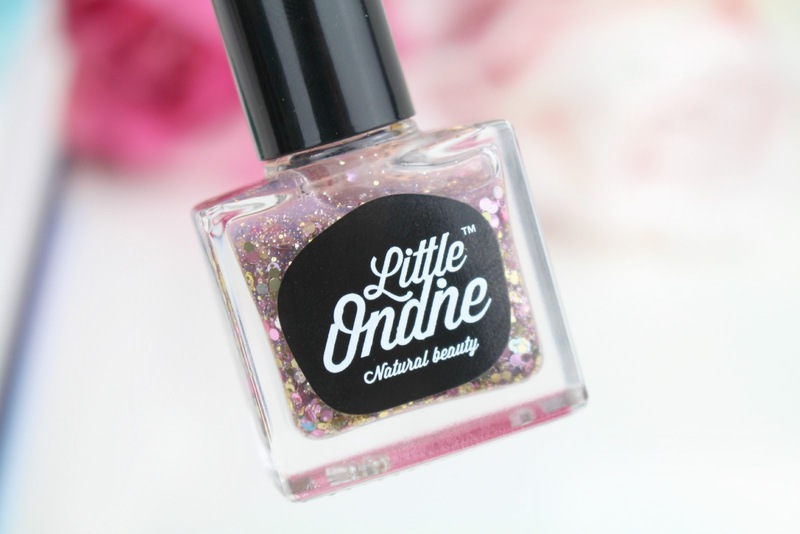 You will never have to worry about that with Little Ondine again...they believe that you should be spending your spare time showing off your nails and not waiting around for them to dry. As the formulation is water based your nails will be dry after a few minutes! The only thing they recommend after drying is to keep your hands and nails out of water for an hour or so...other than that you are good to go. They say that the polish should last up to a week after application and I would definitely agree with that. As this was my first attempt I did notice that on a few of my nails the edges were already coming away but it was nothing crazy and it didn't really bother me...at the end of the day you can easily re-paint them on the go or remove them in a hurry if need be. Another great thing about these nail polishes is the fact that you don't need any of your typical acetone or removers that you would usually use that can leave your nails slightly damaged and dehydrated. 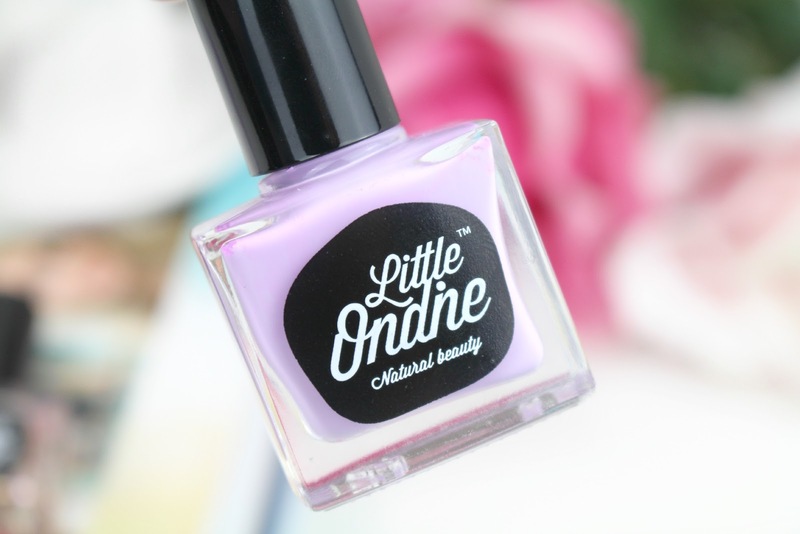 Little Ondine polishes can literally be peeled off! The only kind of negative that I found with this was the fact that I was sitting at my desk one afternoon (feeling quite stressed out) and I found myself peeling away at the polish! Although that was the case, I was literally amazed at how well the polish was coming off my nails. Just like Little Ondine mention, removing the polish was super easy and they were coming off in whole pieces! Overall, I was really impressed with these polishes! They are quick drying (which I would love all polishes to be), they are odorless, all natural and super fun! I can't wait to add a few more to my nail polish collection. If you would like to check out the 80 different shade range you can do so via the official Little Ondine website or via Beauty Crowd. I really hoped you enjoyed this post, I would love to hear your thoughts on the nail polishes and if you would give them a try. Like always lovelies, if you have any questions, requests or if you just want a chat you can contact me via my social media or leave me a comment below. I love hearing from you all and I make sure to ready every single comment...they really make my day! 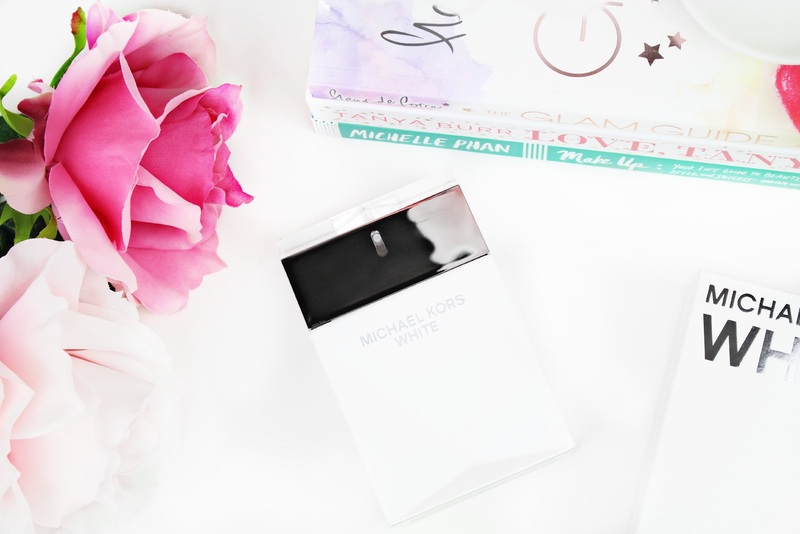 P.S // I also filmed a brand new YouTube video over the weekend! It is a Lush haul so if you decided to pop by, grab a cup of tea, sit back, relax and enjoy! WARNING: There is a lot of glitter! I hope you are all doing well and you are having a wonderful week so far! Long time no speak I know! The last few weeks have been incredibly hectic as I was away on a mini vacation and the run up to going away was incredibly stressful for me and I was slacking in the blogging department (bad blogger haha). Never-the-less I am back with a brand new post and I have something really exciting to share with you all today!First things first, THANK YOU so much to everyone who nominated me in the Cosmopolitan Blog Awards. I am so overwhelmed and thrilled to announce that I have been shortlisted...not under one but two categories - it all feels like a complete dream to me. I will be writing up a full post on everything, but I wanted to say a little thank you as it really means the world to me. Before posting about this product, I really wanted to use it enough so I could give you my honest thoughts on how it is working within my skincare routine. Now, when it comes to skincare I will happily put my hands up and say that I am still learning...we are all human right. Growing up my skin was one of my biggest insecurities so it is quite a big deal for me. I do experiment with a few different products, but sometimes I find less is more for my skin - I think this is down to it being a tad bit sensitive. 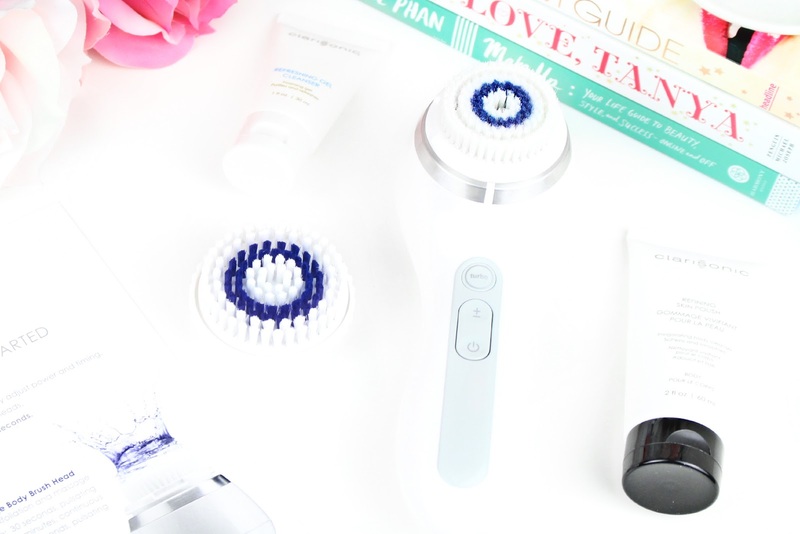 As I am constantly on the look out for the next best product to try I was extremely excited when I was given the opportunity to try a brand new release by Clarisonic. 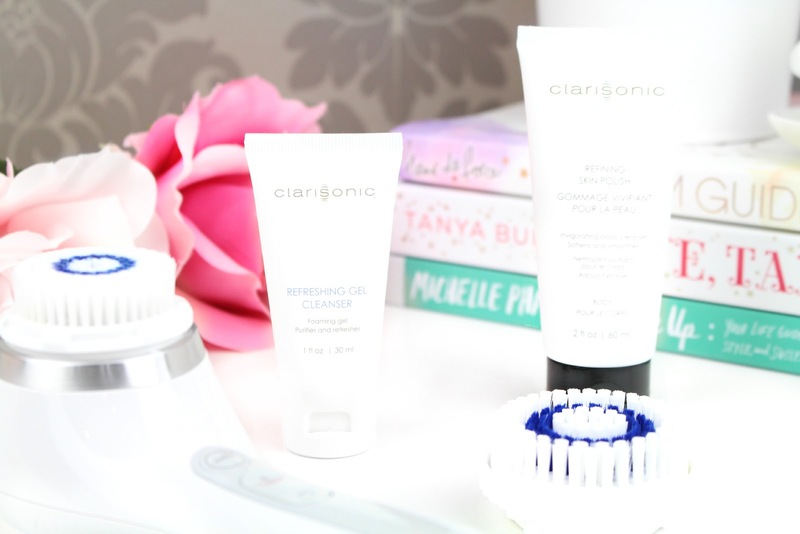 I have admired Clarisonic for as long as I can remember so being able to finally own and incorporate one within my skincare routine has been absolutely incredible - they are as amazing as everyone raves them to be! 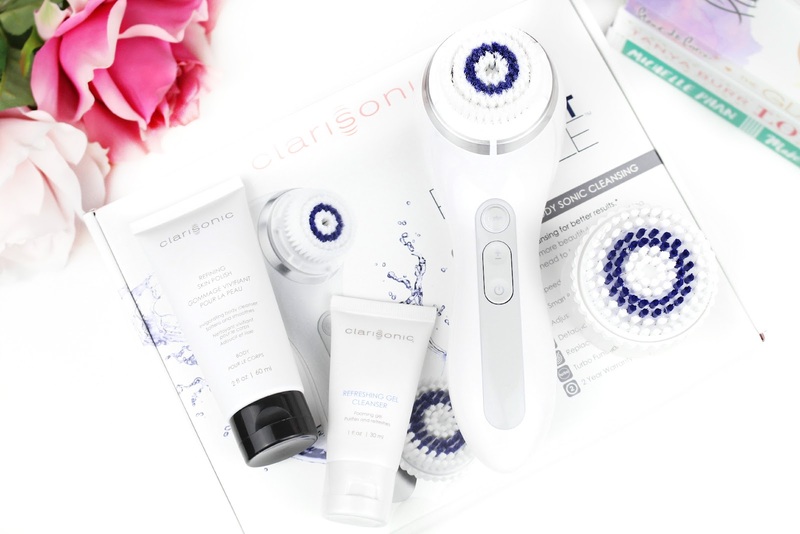 The Clarisonic cleansing experts bring you Smart Profile for the face and body; their most intuitive yet most advanced cleansing device to touch your skin for a total face and body skin pampering experience. This professional device uses head-to-handle Smart microchip technology that automatically adjusts power and timing to fit specific skin needs, whilst the intuitive user interface, and enhanced battery life allows for easier usage, more powerful results and removes up to 11x more makeup than hands alone all at the push of a button. This technology also allows the device to track brush head usage and prompts users on when it is time to change their brush head - pretty nifty right! 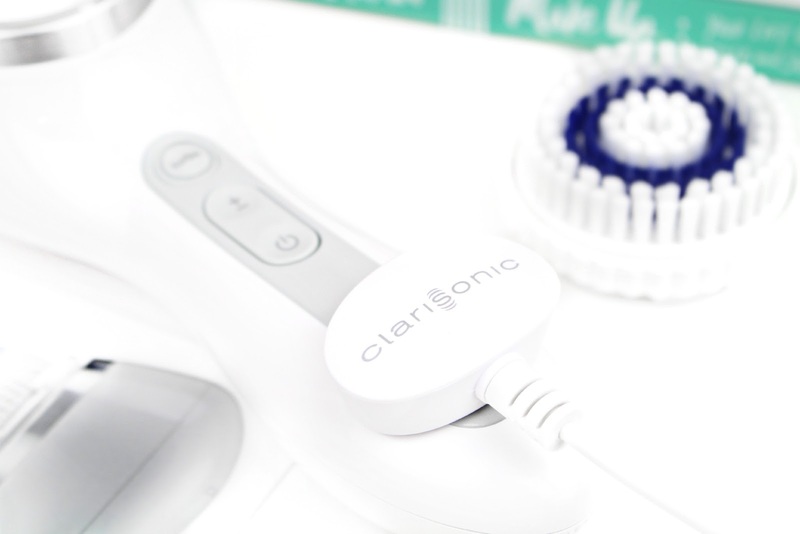 Clarisonic devices utilise a patented oscillation movement that moves the brush head back and forth between 200-300 times a second (yes, you totally read that right). This, coupled with Clarisonic's fluid forces technique, provides a gentle yet effective cleanse. It is safe to say that the Clarisonic Smart Profile is the Bentley, the Hermes and the Rolex of skincare cleansing devices at the moment! The overall design of the Smart Profile is extremely sleek, stylish and easy to hold when in the shower or bath. One thing I have tried to do to maintain the device is to keep it above water at all times. Even though it is designed to be using with water I only really want to get the head of the device wet...although I know this can't always be helped in the shower. This is probably me being a little excessive but at the end of the day I would hate for it to get ruined - it is a holy grail product now! The one thing I was a little worried about with the design was the fact it had no 'grip' features. However, as it stands I have had no issues with this (touch wood) and it has been a dream to use. The charging system for the Smart Profile is that similar to the Apple watches with its magnetic click design. You can also charge up via your laptop which is definitely a great little touch you never know when you might need to charge up on the go! The only thing missing for me is some kind of standing unit for it so I can have it displayed and ready-to-use in my bathroom. I have seen online that some sets come with stand so I am a little unsure why this one has not. It is something I can purchase extra so I think it is definitely something I would look in to - probably not completely necessary but it helps with the overall convenience and having it in front of me will help me remember to stick to my routine. Anyone else like that? What is exactly in the box? This was my first time using a Clarisonic device, however, I have had experience using similar ones from different brands in the past. 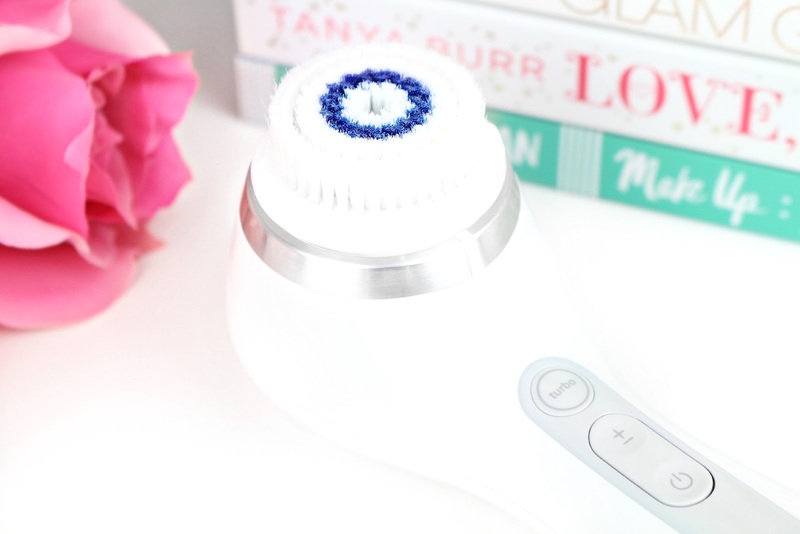 The Smart technology is only something I have seen with this product so it has been a real treat to use, especially with how the device can magically adjust specific timings automatically to suit your specific skincare needs. The standard facial head that comes within the set is the 'Smart Dynamic Facial Brush' which is programmed for balanced cleansing. The heads have a smart microchip that is pre-programmed to send information to the device on how to operate for the area you want to cleanse-automatically - this adjusts the speed, frequency and cleansing time. Cleansing is the essential first step in a healthy skincare ritual so it is great that you can have a device that can do most of the decision-making for you. As I have a true combination skin type I really prefer a deeper cleanse through my t-zone and a softer cleanse everywhere else to not provoke any breakouts. As mentioned above, one of the many great features of this Clarisonic is the fact that it will alert you when you need a replacement head. The smart technology enables the brush heads to track minutes of use in order to alert the user when it has reached its recommended limit and needs to be replaced. Clarisonic brush heads are recommended to be changed after 3 months of twice daily use. This is a great little feature because sometimes we can lose track of time and we need that little nudge to remind ourselves. Obviously, you can use this device with pretty much any skincare product you would like, I guess within reason as I am not sure how a clay mask would react with the bristles haha. The set itself comes with a 30ml 'Refreshing Gel' that is said to purify the skin with its foaming gel like formula which gently remove impurities. The second brush head within the set is the 'Smart Turbo Massage Body Brush' which corresponds with the turbo button on the body of the Clarisonic. This is a wonderful feature and one that I haven't seen on a cleansing brush before. This offers a full body cleansing and exfoliation combined with a vigorous massage - it literally feels like a professional treatment. Before I went away on vacation I used this non-stop to prep my skin but also to massage my shoulders / neck as I was having quite a bit of anxiety and stress at this time. Just like the facial brush the body brush also came with a 60ml 'Refining Skin Polish' to use in conjunction. This is an invigorating body scrub that is infused with jojoba beads, acai fruit oil and grape seed extract perfect for softening the feel of rough, dry skin. 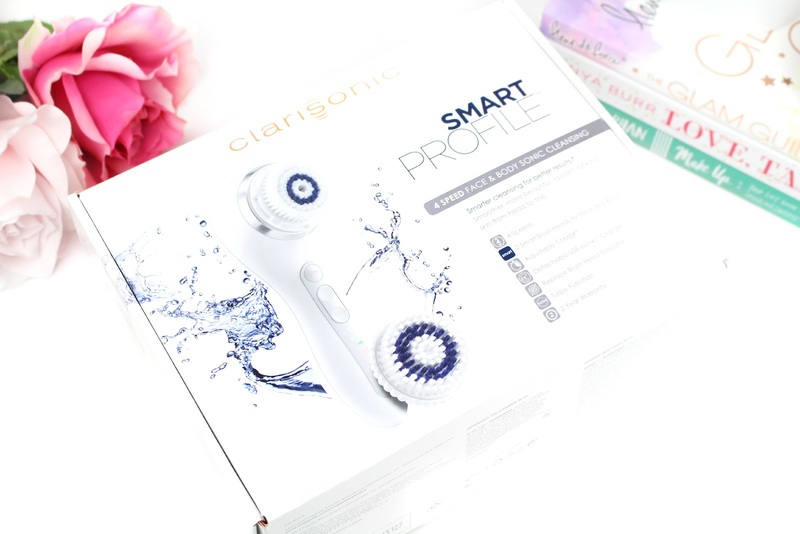 Overall, I have loved every second incorporating the Clarisonic Smart Profile Cleansing Device into my skincare routine and putting in the time to use such a high-quality device like this has definitely shown me results! The only questionable thing about this product is the price...coming it at £199* this is definitely a luxurious skincare device. However, you have to remember that you are receiving such a high-quality device with dual usability and smart technology - something completely new to the market. If skincare is your passion and if it is something you want to focus on more then I would highly recommend you check out this product. One other thing to note is also the replaceable heads which are recommended to be changed every 3 or so months are quite reasonable considering. The 'Dynamic Facial Brush' is £27.00* and the 'Turbo Massage Body Brush' is £27.50*. When you break that down across 12 weeks it is costing you around £2.25 which is not that bad! If you would like to take a look at this product further you can head on over to the Debenhams website. I hope you enjoyed taking a peek at this new Clarisonic release. Do let me know what you think and if it is something you would consider using yourself. Like always lovelies, if you have any questions, requests or if you just want a chat you can contact me via my social media or leave me a comment below. I love hearing from you all and I make sure to ready every single comment...they really make my day!